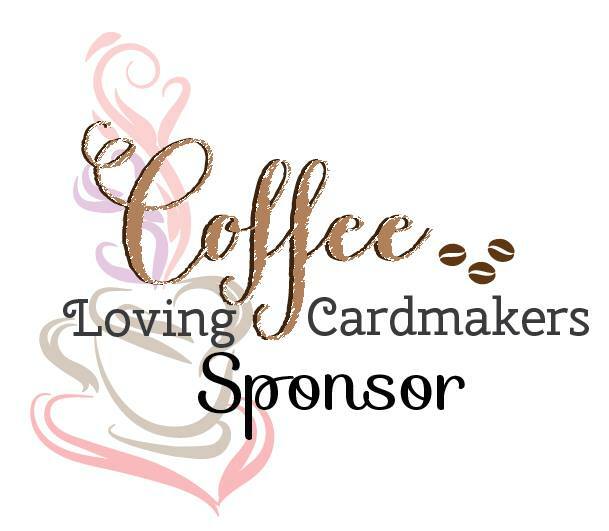 The 2017 Fall Coffee Lovers Bloghop is in full force and as you know, A Jillian Vance Design is a sponsor! Visit the official Coffee Lovers Blog so you can find out how you can win! I'm Kecia Waters guest posting on the blog today sharing a coffee creation I made. 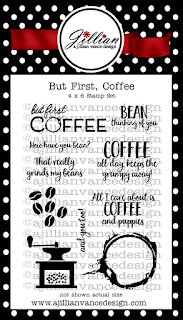 AJVD is certainly your shop for coffee stamps! For this card I had fun playing with two sets: Simply Said Pot Head and But First, Coffee. 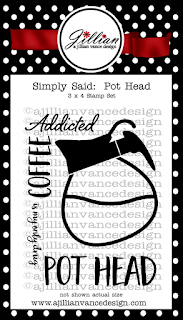 I'm just in love with the coffee pot which is from Simply Said Pot Head. I stamped the pot with Marvy Black dye ink onto X-Press It cardstock and colored with Copic markers. I fussy cut the image and then covered with Versamark Watermark. I sprinkled clear embossing powder onto the pot and then heat embossed to give it a bit of shine. To create the card panel, I randomly stamped one of the coffee bean images and the spilled coffee image from But First Coffee with the following Distress Inks: Tea Dye, Brushed Corduroy and Gathered Twigs. Then using the Pot Head sentiment from Simply Said Pot Head, I stamped with Versafine Onyx black and heat embossed with black embossing powder this hilarious sentiment. I placed this panel onto a brown patterned paper from Recollections to serve as a top and bottom border. Copic markers, X-Press It cardstock, Distress Inks, Versamark Watermark, Marvy Black dye, Versafine Onyx Black, clear embossing powder, Recollections patterned paper. 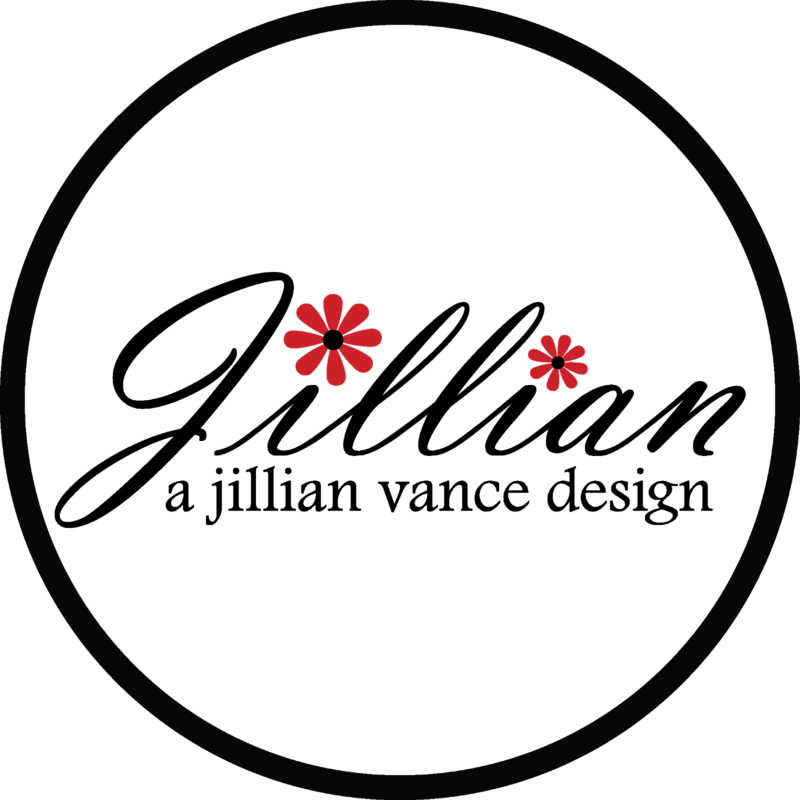 I sure hope you join in on all of the 2017 Coffee Lovers Bloghop fun. And a big thank you to Jillian for letting me share my card. Have a great week! Great card, I love these stamp sets! Love your background and fun sentiment! Love the java beans in the BG with the fun sentiment! Oh I love your card....have not seen these stamps sets before so thank you too for sharing! I started collecting coffee themed stamps this summer after joining in on my first Coffee Lovers blog hop....now I am hopeless addicted! This is cute, and I love the coffee "stains". Super cool card. 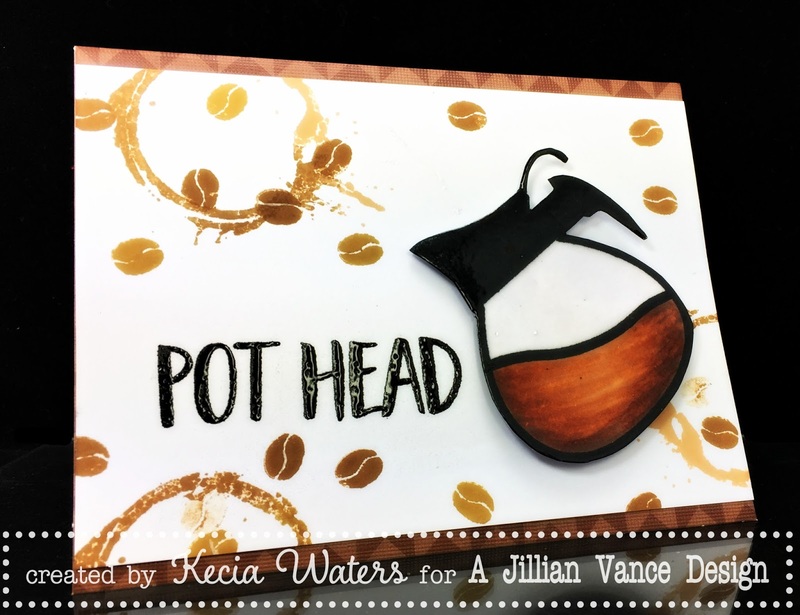 Great coffee themed card with the Pot Head sentiment. Completely charmed by your fabulous card. Clever & perfectly executed. Absolutely love the sentiment. Such a fun card and that sentiment cracks me up! LOL...love the sentiment and your coloring! Great card and especially great inside the coffee pot, it looks liked the liquid is moving !! Congratulations ! Great card and love how you colored the coffee. Looks so real. Beautiful background and fab stamp!